This standard addresses the techniques for the inspection and requalification of composite overwrapped high pressure cylinders. The use of this standard is required in the United States by Title 49 of the U.S. Code of Federal Regulations (49 CFR) Part 180.205(f)(1), and in Canada by CSA B339, Clause 24. The requalification consists primarily of an internal and external visual inspection followed by hydrostatic testing. 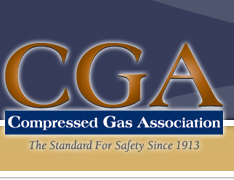 This standard highlights those items essential for an accurate appraisal of a composite overwrapped cylinder for compressed gas service. Not all of the considerations for requalification (visual inspection and hydrostatic testing) of composite cylinders are covered in this standard. Questions regarding specific cylinders should be directed to the manufacturer.